In a new hilarious ad for Facebook’s video chat service Portal, moms of celebrities criticize their famous kids for not calling them on Mother’s Day. 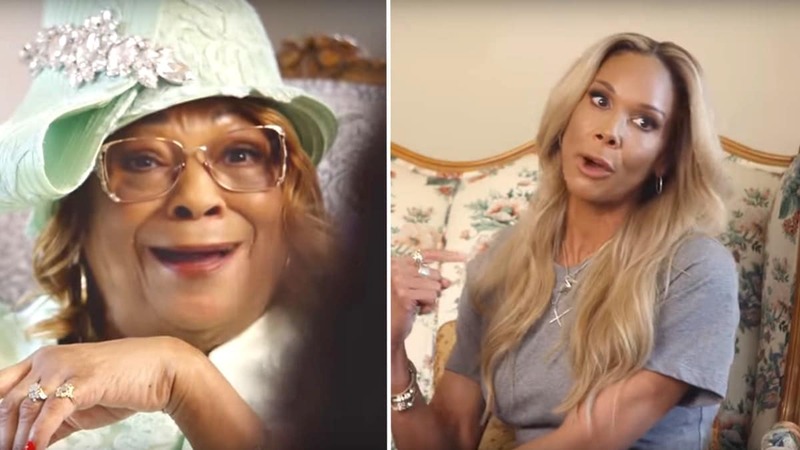 The ad starts with the moms of Snoop Dogg, Odell Beckham Jr., Dwayne “The Rock” Johnson, Jonah Hill and Venus and Serena Williams, all together in Neil Patrick Harris’ mom’s living room on Mother’s Day. Then Venus and Serena Williams’ mom complains that Serena did not call her until 9 p.m. last Mother’s Day. The other mothers murmured in agreement, nodding their heads. “That boy Snoop-Dogg, he’s so busy, he can’t even call his mama,” Snoop Dogg’s mom complains. “If Dwayne doesn’t call me soon, I’m gonna lay the smackdown on him,” Dwayne’s mother threatens. Everyone laughs at the thought of the old lady “laying the smackdown” on her grown son. “OB-J still has an M-O-M,” Odell’s mom says. “How can you forget your mama?” Snoop Dogg’s mother wonders. Then Neil Patrick Harris calls his mother on Portal. He appears on a monitor placed across the room from where his mother is sitting. “Happy Mother’s Day!” Harris and his kids announce together. Harris is surprised to see the moms of other famous people all hanging out with his mom in her living room on Mother’s Day. He wonders whether that means he’s in trouble. “This is weird,” he says, wondering why all the ladies are together. Harris finally tries to shut down the speculation about his health, saying he is fine and that he and his kids just wanted to say Happy Mother’s Day. “I think it’s the hair,” Jonah’s mom says. “It’s definitely the hair,” Harris’ son confirms. The takeaway from the ad is that with the telepresence service Portal now available to everyone, not even busy stars have an excuse not to call their mothers, especially on Mother’s Day.